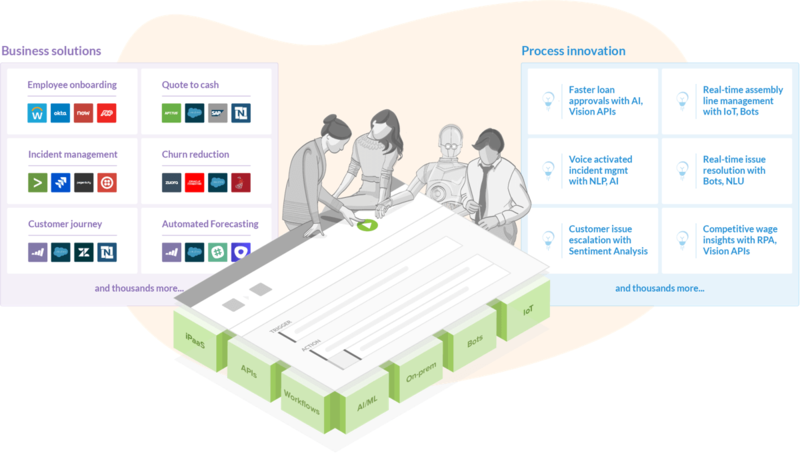 At its core, Workato’s service isn’t that different from other integration services (you can think of them as IFTTT for the enterprise) in that it helps you to connect disparate systems and services, set up triggers to kick of certain actions (if somebody signs a contract on Docusign, send a message to Slack and create an invoice). Like its competitors, it connects to virtually any SaaS tool that a company would use, no matter whether that’s Marketo and Salesforce, or Slack and Twitter. And like some of its competitors, all of this can be done with a drag-and-drop interface.